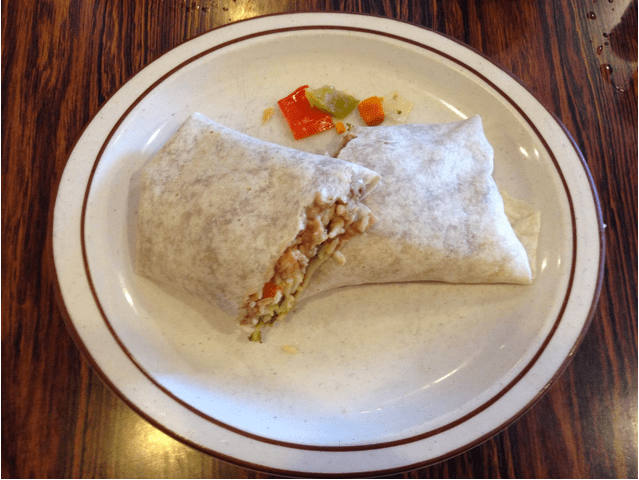 We at the Clog have once again decided to make a foray outside The Daily Californian office in an attempt to find the best vegetarian burrito within walking distance of UC Berkeley. Because we have little time to eat in between writing groundbreaking articles, we walked down the block to Celia’s Mexican Restaurant. 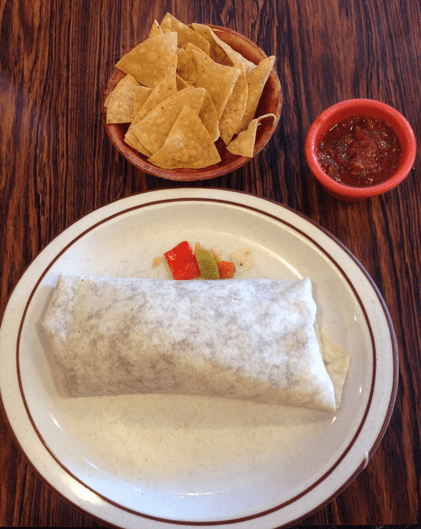 We have heard our fellow reporters sing the praises of Celia’s delicious, hefty burritos, and we were excited to see if its vegetarian burrito would make the cut. Unlike La Burrita across the street, Celia’s had only one nonbean-and-cheese vegetarian burrito. The “Mixed Veggies” for $7 is wrapped in a flour tortilla and filled with pico de gallo, refried beans, rice and cheese, just like all the restaurant’s other burritos. What makes it distinctly “mixed veggie” are the sauteed, diced vegetables: cabbage, carrots, zucchini, red onion, mushrooms, green bell pepper, red bell pepper, broccoli and cauliflower. The lack of options did not sit well with us, but we forged on ahead. The burrito came plainly plated with a small selection of mixed veggies on the side. Were these purposefully placed there, or were they an accidental byproduct of a poorly wrapped burrito? We will never know, but we’d like to think it was a last-ditch effort of a burrito chef to fight against a restaurant owner who may value speedy burrito making over artful presentation. Either way, the presentation was uninspired, and although we weren’t expecting much, presentation should be a part of every burrito-eating experience. The separate parts of this burrito were delicious. If we were eating only a bean-and-cheese burrito, it would have been an amazing experience. But we weren’t. The mixed veggies were not dispersed well among the other burrito ingredients, so the veggie bites didn’t offer a true burrito-eating experience. We might as well have ordered a side of vegetables. This is not to say that, separately, the ingredients weren’t appetizing. The rice was perfectly cooked, and the refried beans were mighty good. But that, a perfect burrito does not make. The best part of our Celia’s experience was the chips-and-salsa combination. The chips were flavorful, crunchy and not too salty. They were also thick enough that they had a nice crunch but didn’t take an overt amount of effort to bite into. The salsa wasn’t too spicy but still burst with flavor. We would definitely go back just for an order of chips and salsa. This burrito, we are sorry to say, was not the best burrito experience. Our feelings toward Celia’s “Mixed Veggies” burrito, however, are rather complicated. While we disliked it, we can’t really hate it outright. The individual ingredients were more than palatable. The rice, beans and cheese were a delicious combination, but the burrito as a whole fell flat. Every bite that wasn’t rice, beans and cheese was a tortilla-wrapped, cooked-vegetable nightmare. But if we ever decide to jump off the deep end of vegetarianism and into a carnivorous pool of meaty meat, Celia’s will be the first place we go. Contact Sophia Zepeda at [email protected].